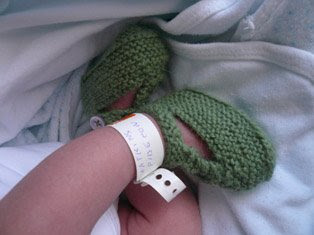 Congratulations to Collette who knitted these very sweet green boots for her new nephew Owen. They are Jade Green DK UK Alpacca. Collette's work has not finished here, her sister is due a baby next week.